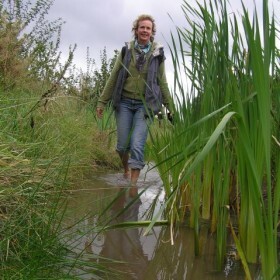 In March 2004, I brought my passion for wetlands to Wetlands International, and have since been directing the strategic vision of the organisation as its Chief Executive Officer. Our strategy has been to increase dialogue with other organisations, civil society and industry to share knowledge and establish a sound framework for environmental management and poverty reduction. Before arriving at Wetlands International, I served on the Water Resources Board and Natural Resource Management Board of WWF in Western Australia. I also spent seven years with WWF establishing and directing the Freshwater Programme for Europe, North Africa and the Middle East. Prior, I was Conservation Director for nine years in the UK. My early career was spent as an ecological researcher working mainly in the UK, Somalia and Australia. I have a BSc in Human and Environmental Biology from York University and an MSc in Conservation from University College London.